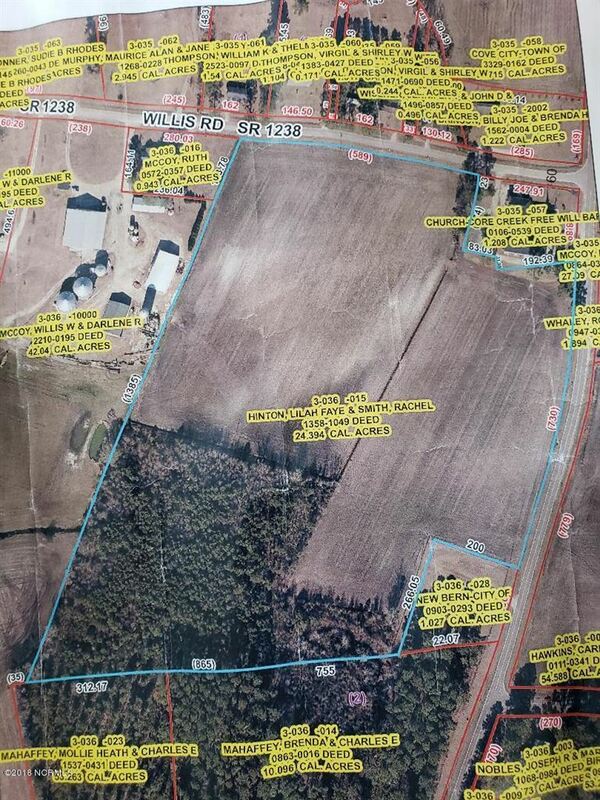 Farmland located behind Core Creek FWB Church with road frontage on 2 sides. Approximately 23.86 acres (as per tax card) with some woodlands. Currently being leased for crops year -to-year. Would be great for developing single family homes.